Each month the group will focus on a title from the current BOB booklist. During the program, students will discuss the novel and prepare for those challenging questions. All elementary students are welcome to the book club, not just 5th graders. We will begin reading the book Rules by Cynthia Lord during this meeting and we will discuss the book at our next meeting on December 17, 2018 2018. Registration is required. Grades K-5. 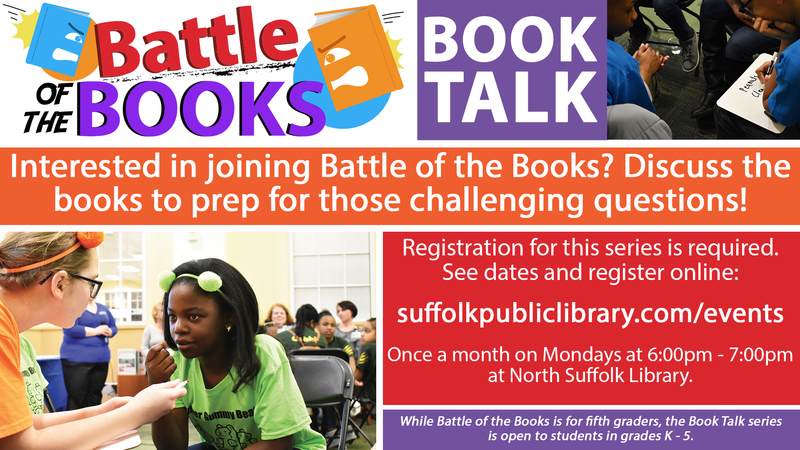 Learn more about Southside Battle of the Books.